Wife and husband owners Karli and Caleb Ingersoll at the Bartlett. The Bartlett's brightly shining neon "B" sign has only been switched on for three months now. That's a little hard to believe when you consider just how deeply the new club has already found its way into Spokane's collective heart. 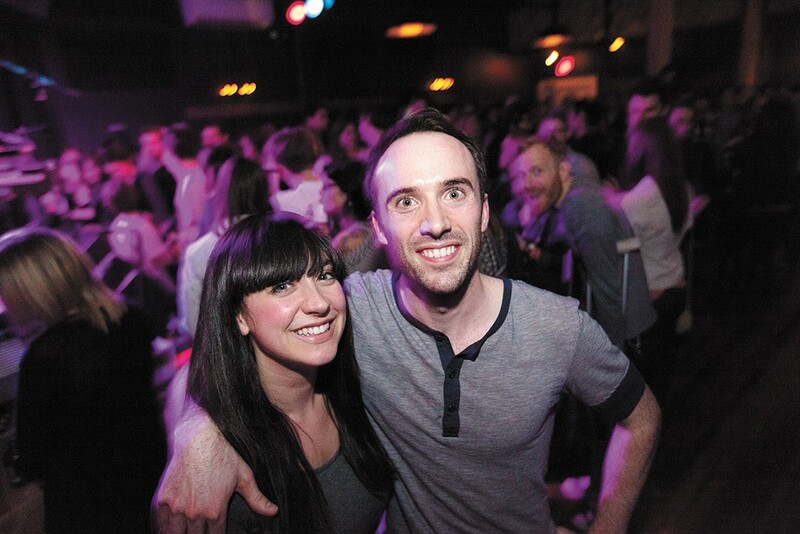 Owners Karli and Caleb Ingersoll, a married couple completely new to the game of owning and running a business, seem to have quickly established a resonant voice in Spokane's music scene. Even when everything went according to plan, it still came as a bit of a shock. "Our expectations have been completely blown out of the water," says Caleb, almost exhausted. He's referring to the venue's very impressive calendar of upcoming shows. Peppered with high-profile acts, plenty of nights on the ledger are already sold out. The others are going fast. "We're music nuts," Karli says, "so we're having so much fun seeing music happen here." Much of the couple's focus has been on booking both touring and local acts that might not have much of a voice in the town's other venues. "It's definitely not competitive," she assures, "but we want to show these bands that Spokane is interested and we care about music." The concert space makes a great impression — it has a timeless feel but a modern touch, a raised stage, and a sharp, robust sound system. The bar outside is intimate and approachable, reduced to its small size to make room for the main attraction. The venue's glowing success hasn't always seemed like a reality to the owners. Despite raising a smashing $20,000 in a Indiegogo crowdfunding campaign, the spot has seen its fair share of difficulties. "Opening was definitely the hardest part," Caleb remembers. "The building process and working with the city was very hard." Construction delays pushed back the opening, and the duo's relatively limited budget forced them to make certain sacrifices. "We didn't think we would make it," laughs Karli. It's been a frightening time for local clubs, as more closed than opened last year. But as an all-ages venue, the Bartlett has been a big step in the right direction, even in just the few months we've had it. Best All-Ages Venue 2nd PLACE: The Knitting Factory; 3rd PLACE: The Hop!